Hugh Laurie leaving the set. 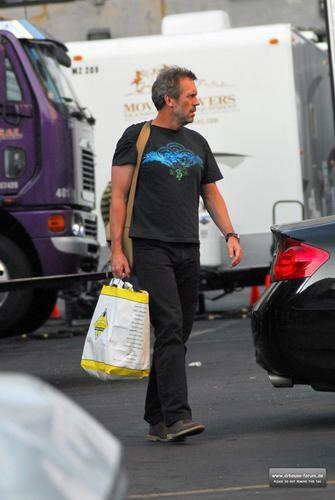 Hugh Laurie leaving the set. HD Wallpaper and background images in the हाउस एम.डी club tagged: house md hugh laurie season 7 paparazzi photo set behind the scenes bts. This हाउस एम.डी photo contains सड़क, शहर के दृश्य, शहरी सेटिंग, शहर दृश्य, and शहरी की स्थापना. There might also be राह-चलता, कैरिजवे, and carriageway.